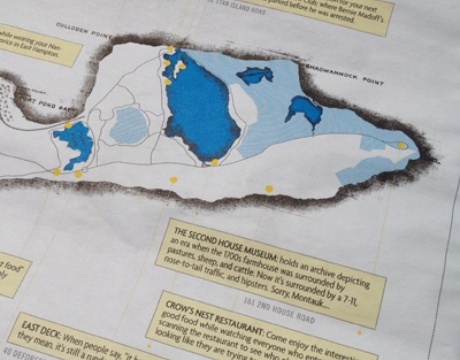 MONTAUK, New York – Seeking the shores forever more? Yeah, you, us, and Walt Whitman. 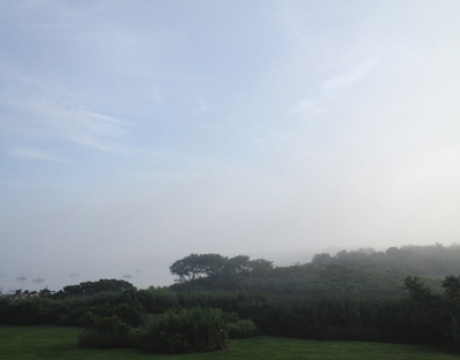 Head to the easternmost tip of Long Island for, as Whitman put it, "nothing but sea and sky." But while you're there, you might as well soak up the sun on secret beaches, tuck in a basket of clams or two, and pretend to be really bad at foosball so you don't get run out of town by the locals. 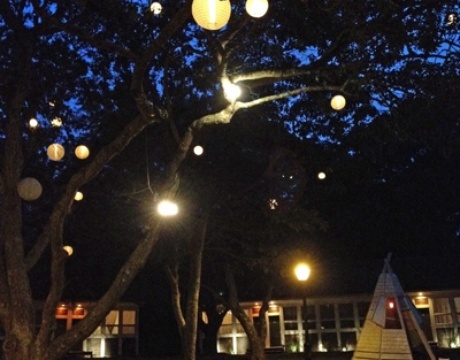 A Field Guide to the Hamptons: Mind your Ps and Qs and fedoras. Little Black Book: Lobster Rolls on Deck: A breakdown of the best buns in town. Fathom Guide to The Hamptons: The essentials that will get you there — and the extras that will make you never want to leave. 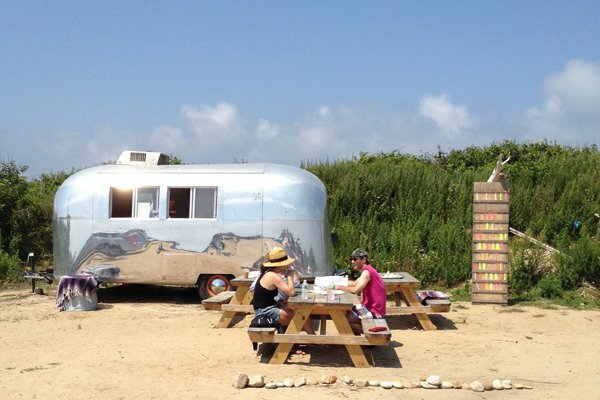 MTK A-OK, The Map: A fully-loaded hit list of Fathom's favorite Montauk spots of the season. Monday Movie Night, Thursday Bingo extravaganza, blackboard specials at the restaurant every night of the week. Cross your fingers for a bucket of chicken and a good dance party to go off at The Electric Eel (both are likely). 102 Industrial Rd. ; no phone. Drop the metal detector and dip into this vintage treasure trove instead. Look for the garage next to the taxi stand. Summer staples (lobster roll, chips, cole slaw) served with a view of Fort Pond Bay. The gorgeous sunsets come free with dinner. This is where you'll buy your magazines and Advil. And maybe a beach umbrella and a tube of aloe for the day after you get sunburned. You thought they stopped making places like this. Awesome cheeseburgers that cost less than $5. (They're not kidding when they call it "special sauce.") Even awesomer homemade ice cream. The lines move quickly, even when they're out the door. 696 Main St.; no phone. The best of Milk Bar's cookies, pies, and cake truffles. No ice cream. Sad face. Have a coffee slushie instead. The great breakfast debate: Mr. John's or Anthony's? The only two diners in Montauk are on opposing sides of Main Street. It's only a matter of time till there's a cook-off. Really, what's taken them so long? The place to gear up for good or just for the day. Belly up to the raw bar for Blue Point oysters, littleneck clams, and Lil Anna's Mary Mary's garnished with Jonah crab claw. Local farms and fisherman supply this summertime favorite. Grab a cup of strong coffee or a creamy latte and talk amongst yourselves. If you reach the point when you need a vegetable or some such healthy thing, check the chalkboard and order up. Juice bar, vegan bakery, Mexicatessen, and hearty, all-natural vibe. 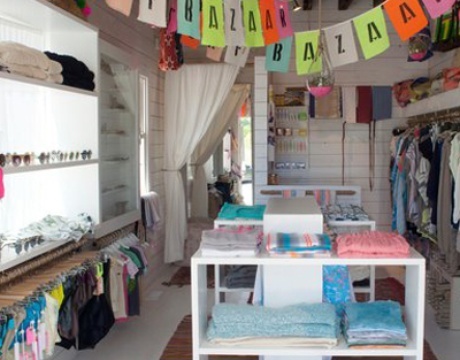 For anyone who has worn flipflops in the middle of winter, the shop is a stash of clothing and accessories for the endless summer. Don't mess with the locals. Buy them cheap beers. Let them beat you at the foosball table. Respect. Word on the beach is that these fish tacos are worth tracking down. Park at the end of E. Lake Dr.
Suit up. Swim out. This is one of the prettiest strips of sand on the East End. Drinks ahoy at the pop-up bar inside Rick's Crabby Cowboy Marina. Parking lots located towards the end of Ditch Plains Rd. Take a right at the entrance and head down the beach for one of the best swim spots. Nab a taco from the Montaco taco truck (11 a.m.-5 p.m. daily, weather permitting) when hunger strikes. Nothing fancy. Just everything you need for a long weekend at the beach. Dirt lot at the end of Ditch Plains Rd. Take it all in: the Airstream, the lobster rolls, the salads of the day, the picnic tables, the sheet of plywood-turned-poetry-board. Plus, you're at the beach. See Nantucket with the kids. Just picture what it must be like on Coney Island.